As Cyber Monday was wearing down, Google was already winding up some app updates. 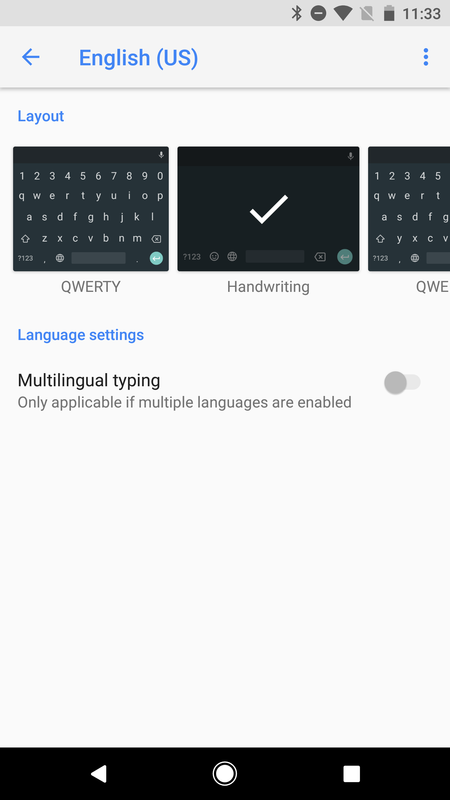 A new version of Gboard began rolling out late in the afternoon, and with it comes the long-anticipated handwriting support, meaning we can finally uninstall the separate handwriting keyboard. 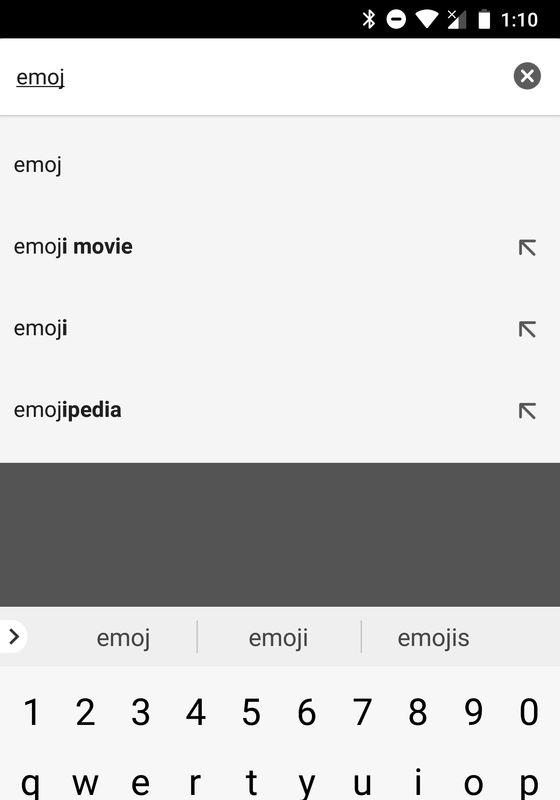 There are also some tweaks to the emoji picker. 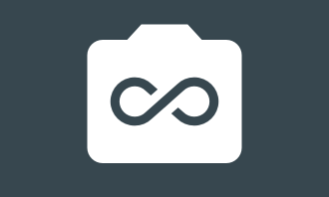 As we look to the teardown, there are signs of a new theme system with a few new options for more visual control, a new autospace feature, integration with the Motion Stills app, and more. The official changelog has been posted on Gboard's Play Store page. It includes the handwriting support already discussed here. It also mentions Hinglish-style support for 19 more Indian languages and "20 new languages," but then goes on to list 24 (or arguably 25). Seriously, count them. It's possible some of these aren't being counted because they are variations on already-supported languages, but it's not really clear what is meant. This is why we take the time to look closer with these changelogs, there are often old features or inconsistencies. Continuing with that theme, Google's changelog also mentions suggestions for URL fields and "fast delete" as new features. 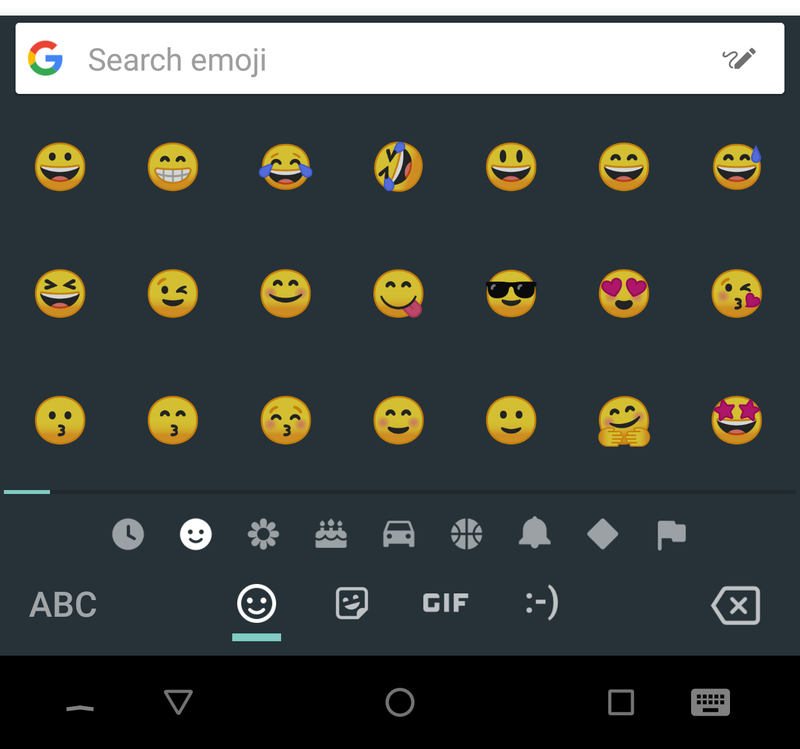 After fairly rigorous testing against Gboard v6.6, I've seen no differences that suggest either of these are actually new with the latest update. The suggestions in URL fields are actually regular word suggestions, which makes it easier to type in search queries, or perhaps change small parts of a URL if you know that replacing a word will bring up a desired page faster than any other method. Seeing as this can be directly reproduced in a much older version, this feature is either being mentioned well after it was launched, or it may have been initially tested and later enabled remotely. But with that said, I've been seeing these suggestions in regular use for a while, so I think this is just an older addition that's only just now being given a nod in the changelog. Regarding 'fast delete' feature, there's no discernable change to the behavior of the backspace button. Holding down the button will begin by deleting some individual characters, then going to whole words. There's also a gesture to delete several words at once by dragging to the left from the backspace button, which was added about 18 months ago. Aside from these, nothing else resembling a 'fast delete' function has turned up. Perhaps this is in preparation for something new, but there's no other sign to support that. tl;dr – This was already a big update with the addition of the handwriting keyboard and some new languages, but that's probably where the real list of additions ends. Left: Original handwriting keyboard. 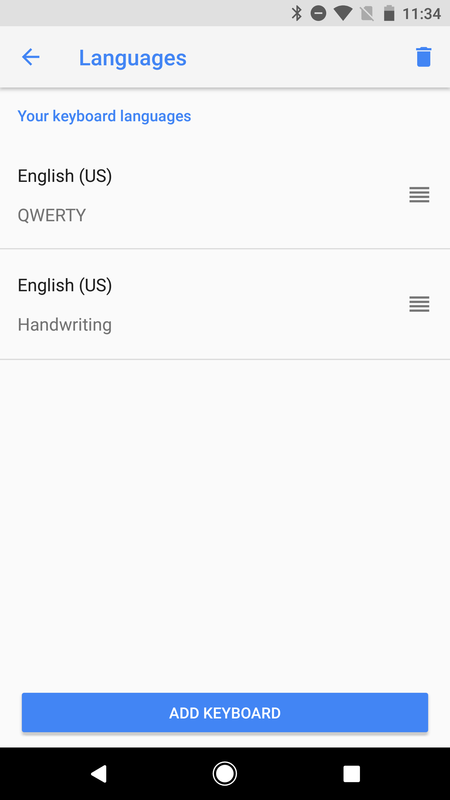 Right: Handwriting keyboard in GBoard. Earlier this year, a teardown revealed Gboard would be adding handwriting support. 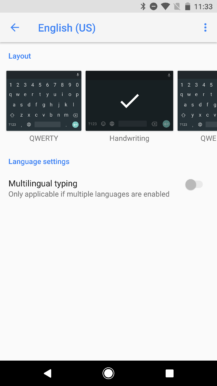 That time has come with the release of v6.8 as the capabilities found in the separate handwriting keyboard have been ported over to Gboard. After testing it out for a bit, it's safe to say that very little has really changed in the process aside from a couple of navigation buttons. 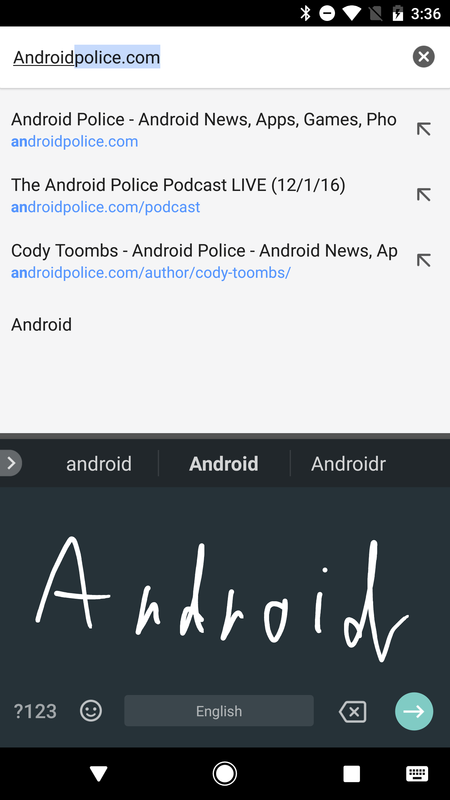 Enabling the handwriting capabilities in Gboard isn't quite as obvious as they probably should be. You'll actually have to add the handwriting keyboard as a new keyboard layout. 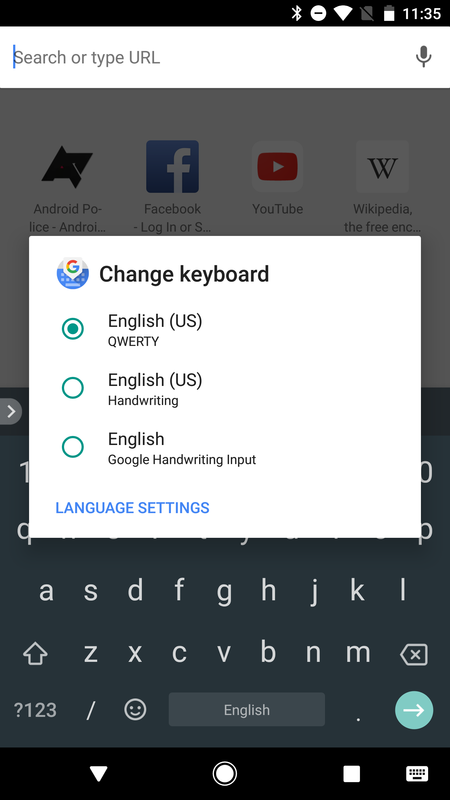 The easiest way to get there is to make sure Gboard is selected as your keyboard, then long-press the spacebar and tap on Language Settings -> Add keyboard. 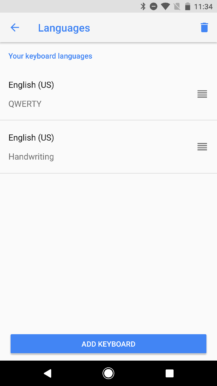 Simply pick the language you want to write in and look for the handwriting option in list. You can change the order of the keyboards by dragging, if you like. Now you can switch between a regular keyboard and handwriting in the keyboard picker. (Note: I still have the old handwriting keyboard installed, so it appears at the bottom of the list in the last shot above.) A download of handwriting data may occur before you can use this mode. If you use emoji, you're probably going to love this one. The emoji have been blown up to fill in almost all of the empty space between them. They're much easier to see and they look much better. Unfortunately, this change seems to appear on only some devices. Based on my own tests and checking with a couple of other people, it seems to be limited to Nexus and Pixel devices (and probably anything else directly supported by Google, like Android One). 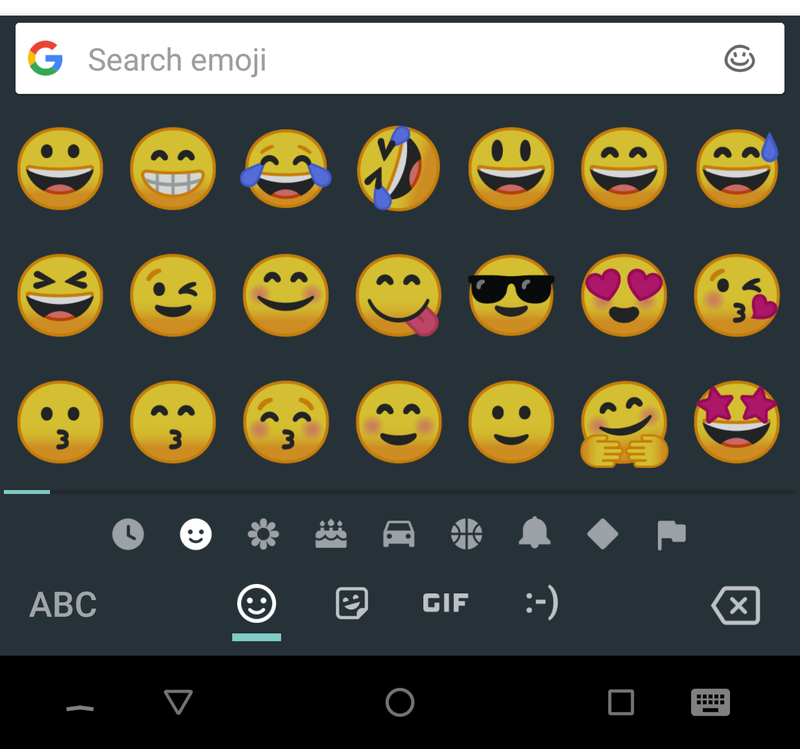 Update: There are many varying reports, but it seems that keyboard height plays a role in this, and changing it might reveal larger emoji, but that's not the only factor. Themes in Gboard are a great way to personalize your keyboard with a look suited to your personal style and tastes. 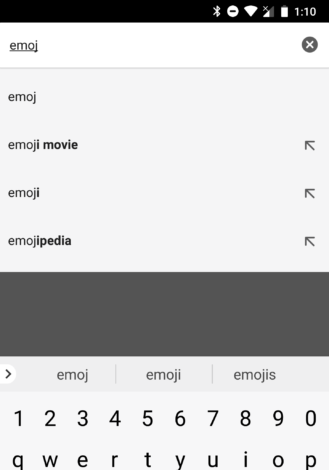 There are now references to a third version of the theme feature, which may suggest users will have even more control over the look of their keyboards in the future. The options listed above are merely features that would presumably be available to change by users. There appear to be five options: Image, Padding, Shadow Color, Edge, and the background color of the Google icon. The last of those is a bit reminiscent of the customizable Google Search widget. There are no visible signs of the new theme engine in the app yet, and there's no text or other indicators that an interface is complete for a new screen with the additional settings, so it's safe to say this isn't live yet. 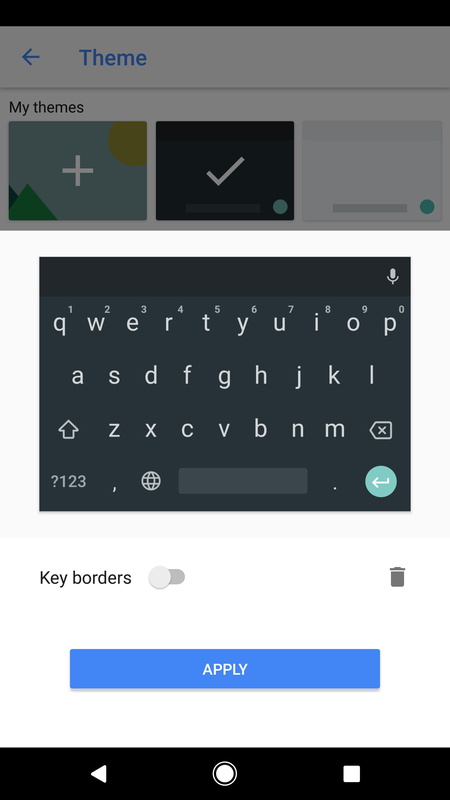 All we have is the version that offers to pick a regular keyboard background and choose if it should show key borders or not. Nevertheless, a new version with more options is clearly in the works. It's not enough to just port the handwriting keyboard into Gboard, now it's time to add features and improvements. It looks like the first thing that will happen is a toggle allowing users to switch between fullscreen mode and the current "half screen" version. New icons (with descriptions) have been added that make it pretty clear users will be able to change modes, though that function doesn't seem to be available yet. 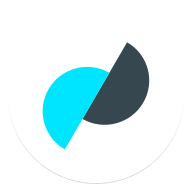 Have you tried the Motion Stills app by Google? If not, Gboard might have a new incentive to give it a shot. 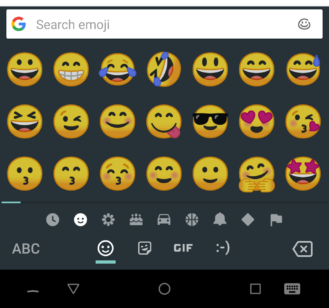 New text and an app icon indicate that users will be able to create and share GIFs through Gboard using the Motion Stills app. It's not really clear exactly how the interaction will work, but based on a few layouts and other hints, it looks like the Motion Stills icon will appear as another category alongside emoji, stickers, and GIFs. It will probably include the Motion Stills app icon for quickly launching the app to create a new image, along with animations you've already created. Below is the icon that currently represents the Motion Stills category. Software keyboards have been getting progressively smarter and more intuitive as time goes by. 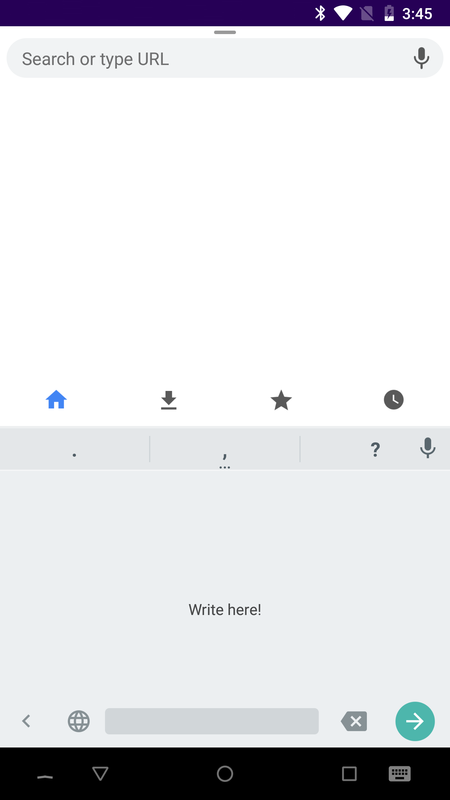 It's now common for keyboards to automatically capitalize the first letter of a sentence, correct obviously misspelled words, and even insert a period after a double-space. 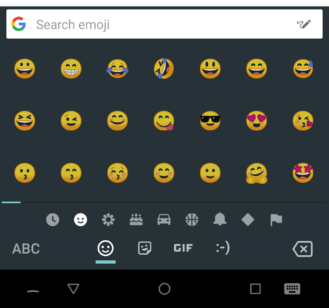 Gboard is about to adopt another similar behavior and automatically add a space after punctuation marks. The list is pretty typical, including the period, question, exclamation, comma, colon, and semicolon. Gboard won't be the first keyboard to do this, but it's a nice feature to have for slightly faster typing. If I could throw in a request... Can we also get smart detection of the second quote in a sentence and add a space after that? I admit, most people don't use quotes as often as I do, but it would be cool and save another keystroke.